To be successful in delivering Building Consultancy & Surveying services requires considerable knowledge and experience of building construction and a background of managing construction projects for the repair, maintenance and physical alteration of clients’ properties. Clients need help to ensure that contracts for the repair, renovation and re-fitting of their properties run smoothly and are delivered ‘on time and on budget‘, and that is just what we are able to deliver. We also have a very experienced building surveying team who undertake pre-acquisition surveys, appraise and manage short and long-term programmes of planned maintenance and undertake building pathology with its associated repairs. Our surveyors also specialise in dealing with Dilapidation matters on behalf of both the landlord and the tenant and through on-going training are always right up to date with the relevant laws that are constantly changing. We are also able to manage the construction and repairs that might be required to meet the tenant’s liability or to put the building back into proper order as part of our integrated client service. Our talented team are leading experts in providing Measured Surveys. This accurate record of a property, structure or land involves showing all the structural elements and architectural features. There is increasing recognition that Measured Surveys have an additional role to play in the establishment and maintenance of estate and building information systems. Our surveys are specified to an agreed level of detail, tolerance, scale, delivery times and costs. Building Surveys are a means of providing a detailed evaluation and analysis of a property condition, which includes advice on defects, repairs and maintenance options. This is suitable for residential and commercial properties, its also particularly good for older properties or those which might need repair. Although this survey can not look under floorboards or behind walls it will include the surveyors opinion on the potential for hidden defects in this area. A schedule of dilapidation will schedule outstanding reinstatement, repair, decorations and other legal compliance items, in some cases, the estimated cost of those works. As a property owner or landlord you need to be aware of your rights and responsibilities regarding party walls. The Party Wall Act 1996 is there to protect all property owners and avoid disputes. DMP have detailed knowledge of The Party Wall Act 1996 and many years experience working with clients to resolve party wall matters, saving time and money. Our team are well trained and ready to assist providing expert guidance. Often in commercial property a tenant may require certain alterations to the property they occupy under a lease. A licence from the landlord to the tenant giving consent to carry out work or alterations to the property, this document is know as a Licence for Alterations. It is a vital document, our experienced team are well placed to advise both landlords and tenants regarding the Licence. 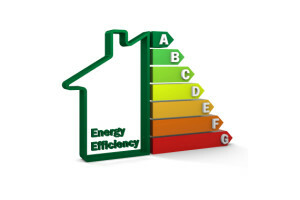 It is a legal requirement that the certificate is available and carried out by an approved/accredited Energy Assessor. Importantly, from April 2018, landlords are required to achieve a minimum rating of E on the EPC. Understanding where your building efficiency can be improved and energy savings made will help you achieve a better rating. DMP Energy Assessors are ready to provide expert guidance and information. Prepared for either residential or commercial buildings, a Schedule of Condition is a factual record of the condition of a property on a particular day. A Schedule of Condition can be required when a new lease is entered into to confirm the condition of the property, existing defects and repair costs. Appointing DMP as an independent expert to prepare a Schedule of Condition may give greater weight if there are subsequent claims or negotiations. DMP provide detailed high definition pictures and videos of building and structures that would otherwise be difficult to inspect. Straightaway our clients have been impressed with the results and the significant reduction in costs as traditional mechanical lifts are redundant.